I’m Amarachi, a systems engineer by day and superhero writer by night. I love to travel although I don’t quite enjoy the actual process of it. Especially travel by air. I started this blog to show people (especially Nigerians) how rewarding it can be to travel both locally and internationally. To be honest, though, it’s not all fun and games. For international travel, we need a visa to almost every country in the world and the application process can be very tedious and discouraging. Even after several stamps on my passport, I still bite my nails in anticipation for my visa when applying to a new country. But it’s all worth it in the end. The journey and experiences are absolutely priceless! On this blog, I share budget-friendly tips and breakdowns for travel within Nigeria, West Africa, Africa and the rest of the world. I hope that by reading the articles on this blog, you’re inspired to travel more and differently too. Some of the best experiences I’ve had so far have included, paragliding off Table Mountain in South Africa, going on a hot air balloon ride in the Serengeti, going on my first group tour in Idanre, and getting shortlisted for a manuscript award! I hope you enjoy reading the articles here. Hi Amarachi, you’re doing a good job, thanks for your write up, very interesting God bless. I love your blog, would love to explore West Africa for a start. How do I begin? Hi Vivian, Benin is a great start and introduction to WA. You can work your way up to Ghana and IVC. That would be an adventure! What a nice blog I’d just discovered. I’m so impressed and inspired by this blog. Looking forth to my own adventure. It’s great to have you here, Grace. Thanks for all your comments! I’m looking forward to hearing about adventures soon as well, starting with Ghana. Superb Blog, I was amazed when I find out you`re a Nigerian. ……Love your articles about your trip to Tanzania….!! Wow, I’m impressed. Your write up is super, I need to know more about Omu resort, are you in Nigeria? I want to get in touch with you. Hello Chiamaka, thanks for your comment. You can send me an email, via the address above and I’ll be sure to respond to you. Bonjour, je m’appelle Mimamie et j’ai été très heureuse d’avoir fait un tour sur ton blog et je puis t’assurer que j’au vu et lu de belles choses. Finalement on partage la même passion. La découverte! Bonne continuation et j’espère vraiment qu’on on fera une aventure ensemble! (hello my name’s Mimamie from Côte d’Ivoire and I’ve been very glad to glanse over your blog. and it’s very fun for I’ve discovered cute things. Hope that we’ll have an adventure together! Hello, it’s really nice to finally see a Nigerian who’s passionate about traveling. Looking forward to read more of your stories and experiences as they’re inspiring for me. Oh, there are a quite few of us! haha.. We’re not alone 🙂 Thanks for finding my blog. Following your adventures as well..
Loving your blog! Are you planning to make the trek over to Australia anytime soon? This is nice, really nice. I’m going to show my guy that someone is doing it and telling the story well. wow…I too really love travelling. But that first picture was too cool…lov’em. I now met an adventurous blogger from my country Nigeria who has done it. 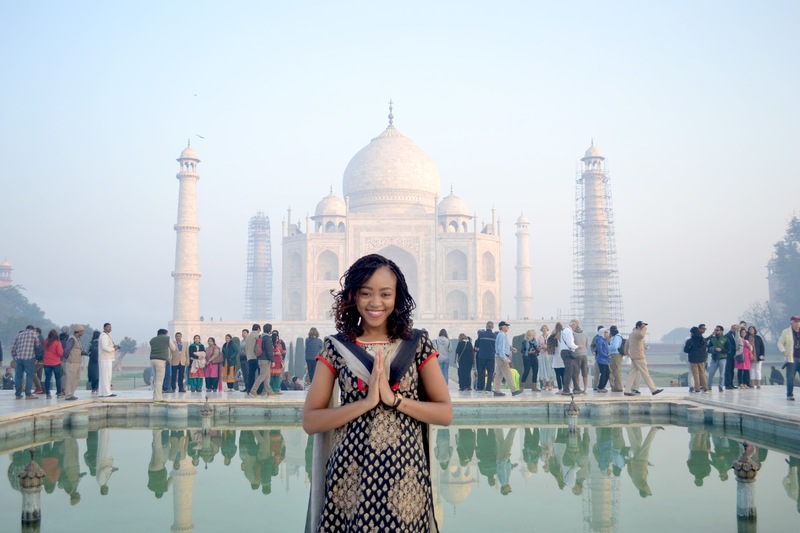 I hope Amarachi will join Travel Blog Success for more exposure and networking. Keep up the good work. Nice site… you’ve got an amazing passion traveling the globe. My name is Uju, I contacted you on Instagram with the handle @Iamsomadina. I came across your blog and I was very inspired by the content. I wanted to know what you went through to get your blog started off. I would like to start one, however I don’t want to follow the blogspot route. I was wondering if you could please offer some tips on how you started from layout, to domain name, to design, to payment/fees and content creation as well. As someone who is an avid dreamer, you are one of the few Nigerians I have come across that has inspired me to be a doer in the travel/adventurer lane. Fingers crossed I start to travel more this year. Thanks for responding on Instagram, you didn’t have to, but you did, thank you. Hey Uju, thanks for your message. I’ve sent you a response via email, I hope it helps. I am interested in travelling and visiting places too. We can connect and start out together.